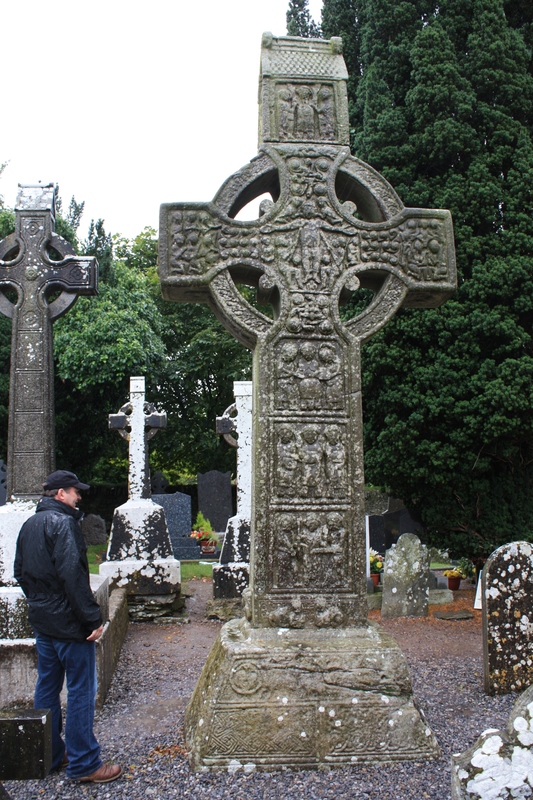 High Crosses, Craic agus Ceol – A Very Different Archaeo-tourism Experience! 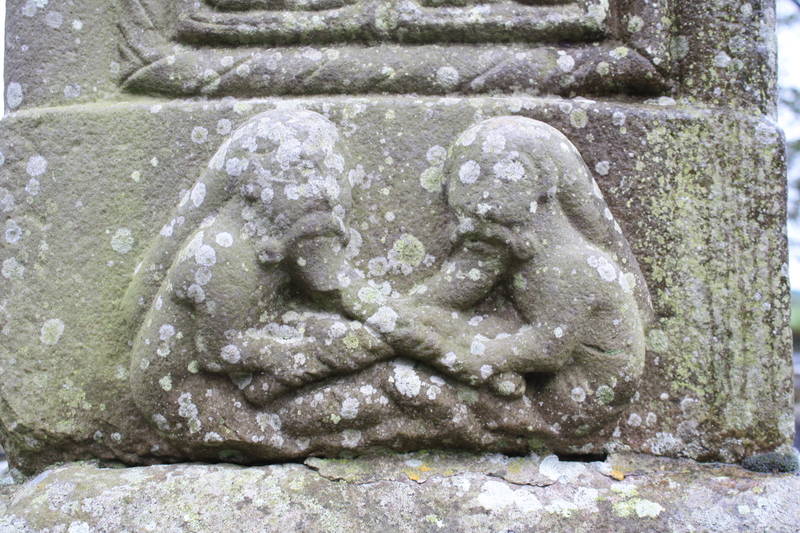 Know Thy Place Director Colm Moloney recently took the opportunity to visit the fabulous early monastic site at Monasterboice, Co. Louth for the first time. He got much more than he bargained for when he entered the site, as he explains to us below! My holidays in Scotland always begin with a mad dash up the new motorway from Cork to Belfast to catch the ferry to Stranraer. My wife and I decided to attempt to break the journey on our most recent trip by visiting an archaeological site neither of us had been to previously. 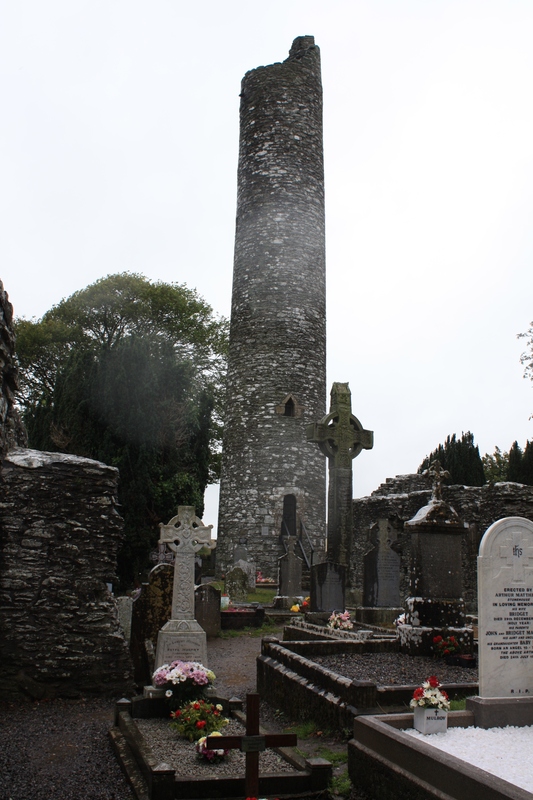 Our choice was Monasterboice in County Louth (about 5 minutes off the M1). Our visit was prompted by pure chance – we stopped when the drive got tedious and simply picked the nearest site to our location. It happened to be Monasterboice, an early monastic site located a short distance to the north of Drogheda on the main Dublin-Belfast motorway. It was one of those unpleasant days, a mixture of driving rain and gentle mist – a typical Irish summer’s day! However the weather did add a dramatic backdrop to the monastic ruins, so not to worry. There is no charge to visit the site although there is a small wooden shed near the entrance which sells books and trinkets (including a useful academic account of the monuments by Helen M. Roe). When we approached the shed we were immediately engaged in conversation by a charismatic and enthusiastic local gentleman who appeared to be in charge of the shed – I am not sure if he worked there or just hung around to entertain tourists! He immediately started to tell us about the site, its history and the best approach to visiting the ecclesiastical remains considering the inclement weather. Halfway through his spiel, a second more elderly gentleman started belting out a few traditional Irish jigs and reels on a button accordion. When the first gent realised that my wife was Scottish he gave the musician the heads up and we moved seamlessly from Irish trad to Scottish folk. We left the music, the site narration and the shed and headed into the ecclesiastical complex. The site was founded in the 5thcentury and is related to St Buithe. The surviving complex of structures centres on two medieval churches, a round tower and group of decorated high crosses. The site is still used as a cemetery so modern graves are interspersed with the archaeological remains. In the Shed with my wife Louise, our host, and the Rock n' Roll Kids! Although the churches and round-tower are of great interest, the high-crosses are spectacular. I had read about them and seen photographs, but the scale and detailed decoration of these amazing monuments is absolutely breathtaking when viewed up close and personal. Two of these are exceptional and rate amongst the best examples of their type in the country. Both probably date to the tenth century. 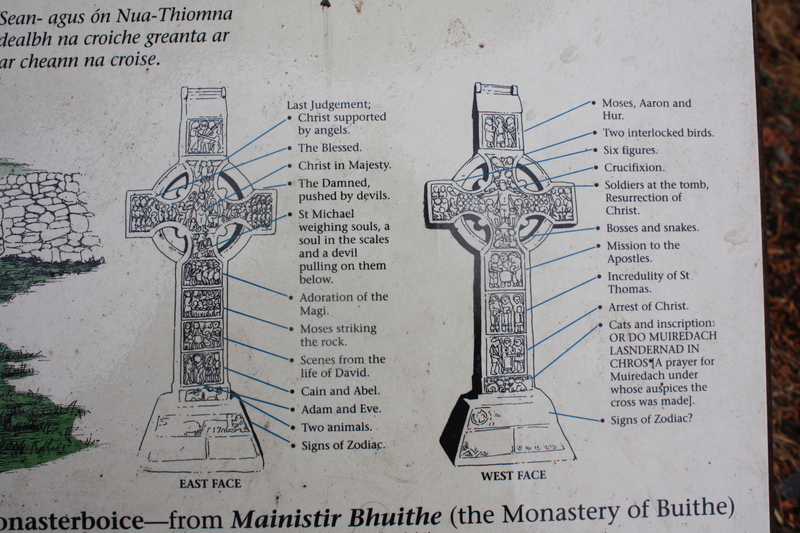 One of the crosses bears an inscription stating that it was erected by Muiredach and it is known as Muiredach’s Cross. This cross is simply massive, standing 5.5 m tall and heavily decorated with images from the bible including the crucifixion, the resurrection, Caen and Abel, David and Goliath and many more. One panel near the base stood out for me. This consisted of two seated men who appear to be pulling each others beards – a possible indication of a sense of comedy in the sculptor! The base is heavily decorated with Celtic knotwork. 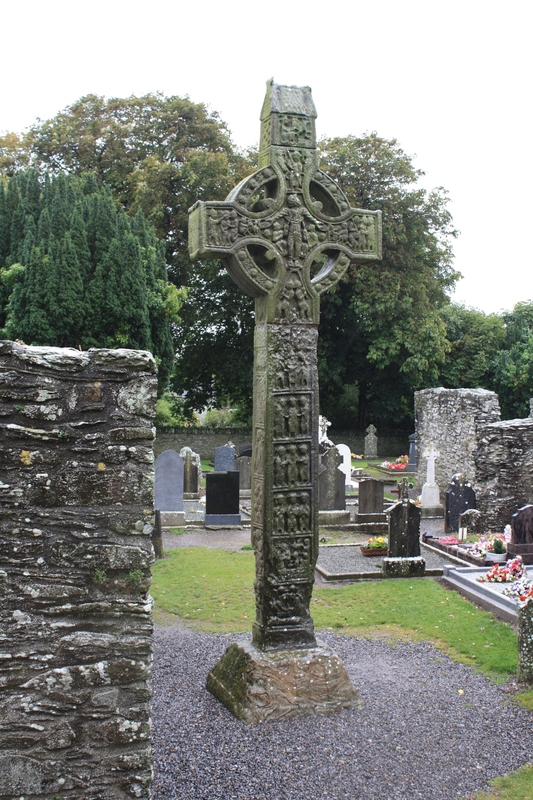 The second of the two exceptional crosses is known as the West Cross, which although more slender that Muiredach’s Cross is also beautifully decorated. 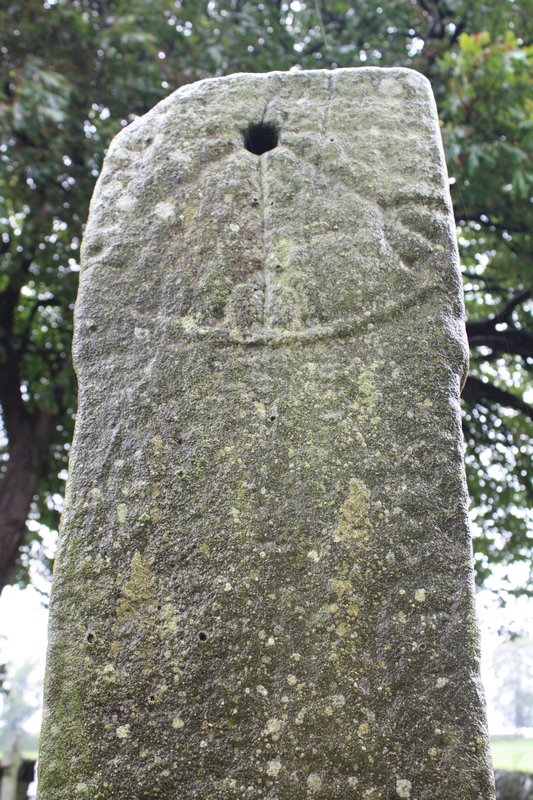 An early example of a sundial also stands amongst the crosses and gravestones. We left the core of the monument and headed back to the car. As we neared the exit our story-teller was waiting and dragged us back to the shed. 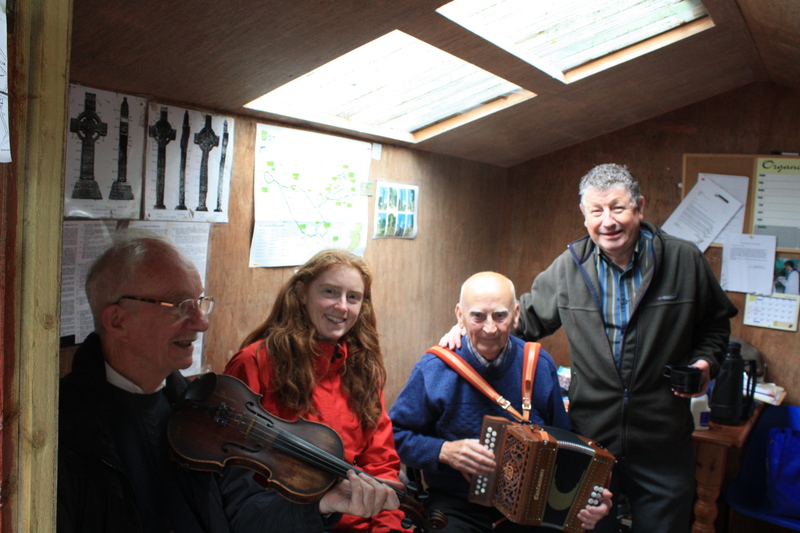 A second musician had turned up and by now the shed was rocking to the sounds of a fiddle and button accordion. My wife was guest of honour in the shed and the duo were determined to play every Scottish tune she could recall (we were even offered a cup of tea!). We would have stayed for hours if we didn’t have to catch a ferry. The experience left me feeling that tourism in Ireland may be missing a trick. The fusion of an amazing heritage site and living culture in the form of traditional music and story telling was truly fantastic. This is surely a model that could be rolled out more extensively by the powers that be in Irish tourism. Know Thy Place will have a stall at the Midleton Food & Drink Festival in Co. Cork on Saturday 10th September. We will be located amongst the craft stalls in the Courtyard area, and will be selling copies of our Ireland, Co. Cork and Midleton archaeological charts at special festival rates. As well as that we will have a number of archaeological items on display, and will be happy to discuss the archaeology of your area with you! Facilities will also be in place if you want to place an order for any of the charts we offer. Be sure to pop along if you can make it! 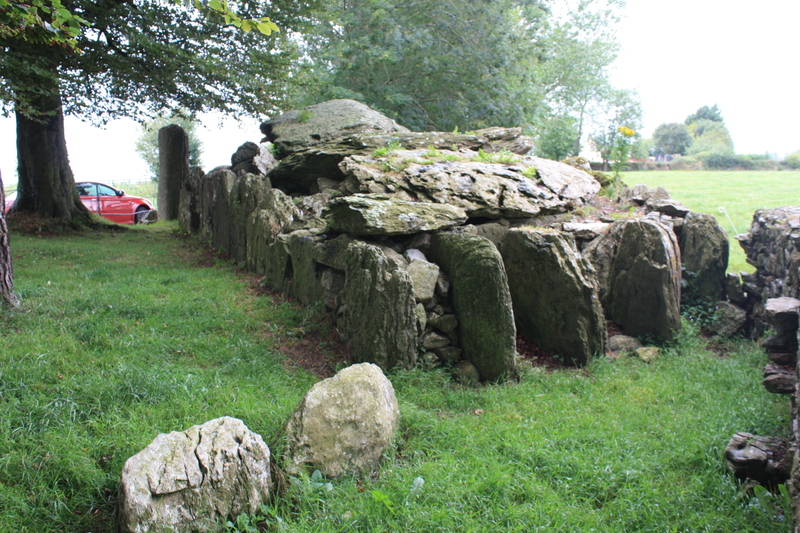 Know Thy Place Director Colm Moloney continues his journeys around the monuments in his local area, and brings us news of an impressive prehistoric megalith. As research for KnowThyPlace, I have recently been visiting sites within a half hours drive of my home in Midleton. This weekend I visited the area around Glanworth and one site really took my breath away. 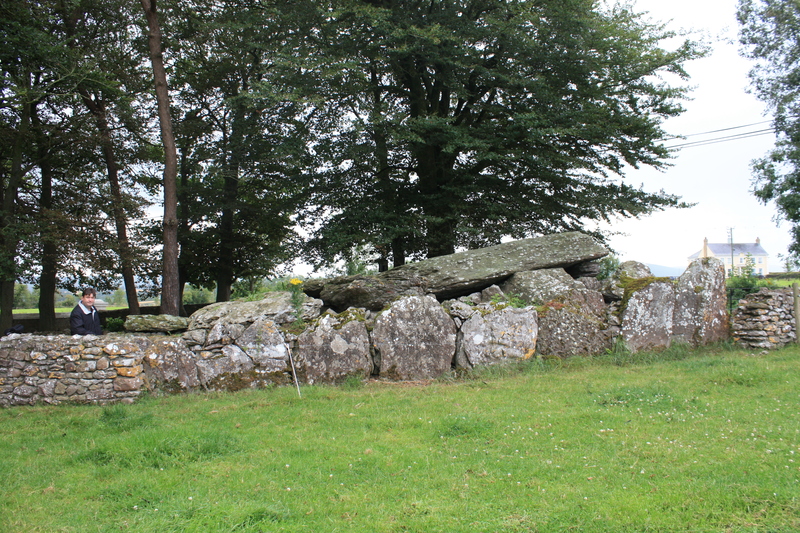 Labbacallee, which translates as ‘The Hags Bed’, is one of the largest Wedge Tombs in the country and is very accessible for the archaeo-tourist (signposted off the main road from Fermoy to Glanworth). The tomb is constructed of massive stones (the largest weighs about 10 tonnes) and the monument stretches for an impressive 14 m. The interior of the chamber was excavated in the 1930s. Both human and animal bone was recovered and radiocarbon dating of the human remains indicated that the site had functioned as a burial site from about 2400 BC to around 1750 BC. Fragments of a decorated pottery vessel were also recovered. The earliest burial which was identified at a small end chamber consisted of a headless skeleton which was radiocarbon dated to 2456 – 2138 BC. 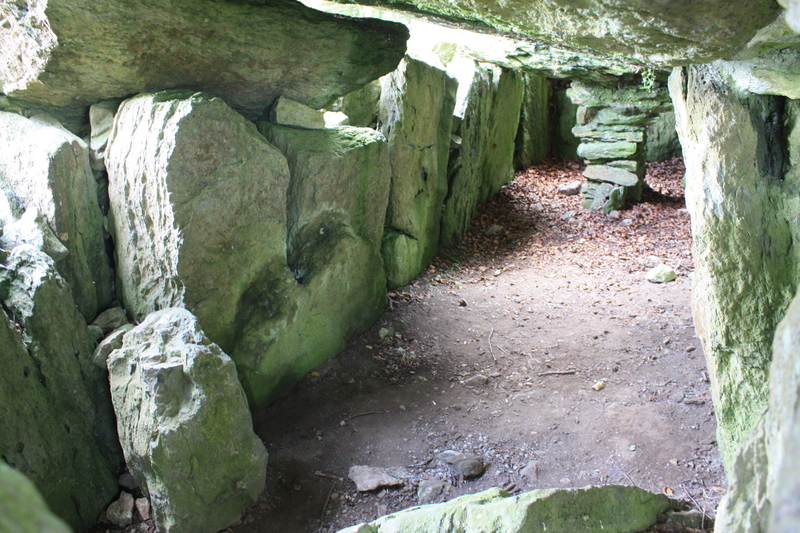 Wedge tombs are part of the megalithic cult that developed across Europe with the introduction of agriculture and continued into the Bronze Age, where burial chambers began to be constructed using massive stones. With the introduction of agriculture population levels increased and people had more time and resources available for undertaking such massive projects as the construction of Labbacallee. Wedge tombs dominate at the end of the megalithic tradition and are believed to be tribal burial sites which may also have had relevance to territorial boundaries. The possibility has been raised that they served as repositories for ancestral bones and served as ceremonial centers for local populations. At Labbacallee the monument is aligned with the setting sun on the equinox (22nd March and 24thof September) when a beam of light shines into the chamber – no doubt significant dates for early agriculturists! 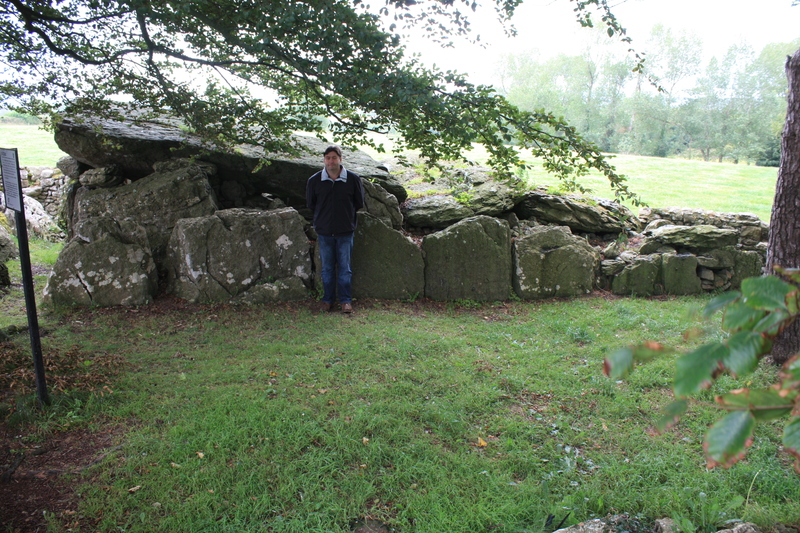 Megalithic tombs are very durable and as such tend to survive well in the landscape. The superstitious nature of the rural population in Ireland up until recent decades has also helped to protect monuments from destruction. It is not surprising that these massive monuments attracted folk traditions over the millennium that were handed down by story tellers from generation to generation – surely they were the work of giants or magic? 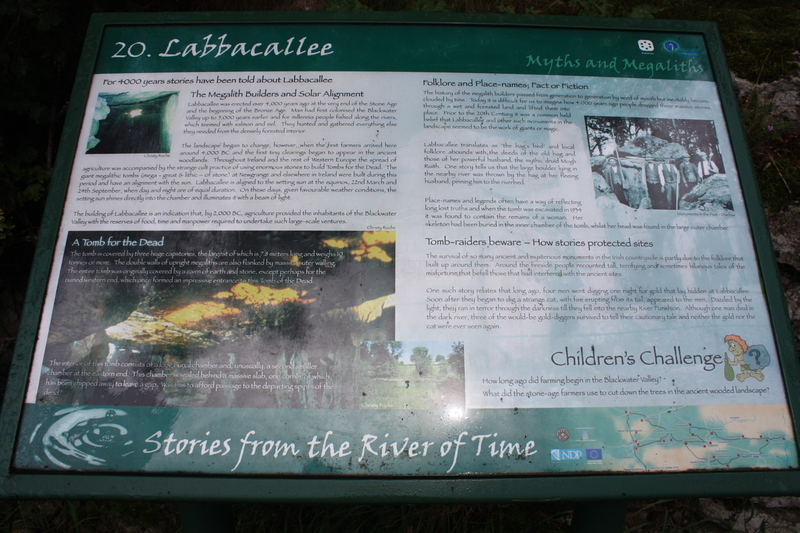 The local tradition tells that Labbacallee was the bed of the wife of a druid Mogh Ruith. It is common for the pre-Christian goddesses to be referred to as ‘hags’ after the introduction of Christianity. The possibility exists that a local tribal deity had a link to this site which has been preserved in the local oral tradition. Amazingly the site was already 2000 years old by the arrival of Iron Age ‘Celtic’ culture in the locality: a true monument to some of the earliest social organization, religion and engineering on the Island of Ireland. View from the neighbouring field- watch out for the electric fence!